On 29 Nov., the old m-TRITON buoy at 8S, 95E has been recovered in the morning. 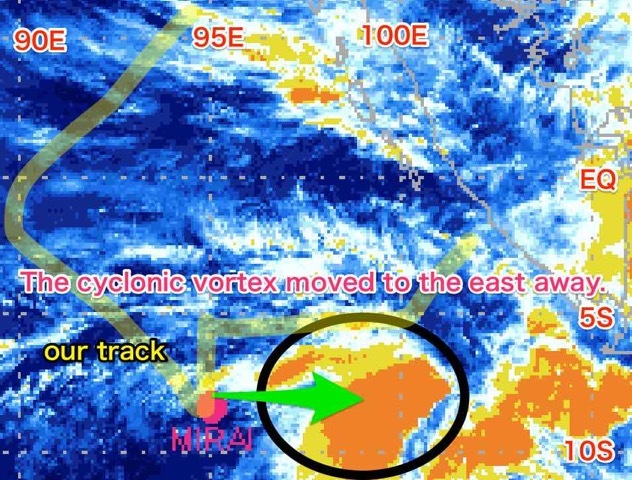 Today’s weather condition was better than yesterday because the cyclonic vortex moved to the east away. 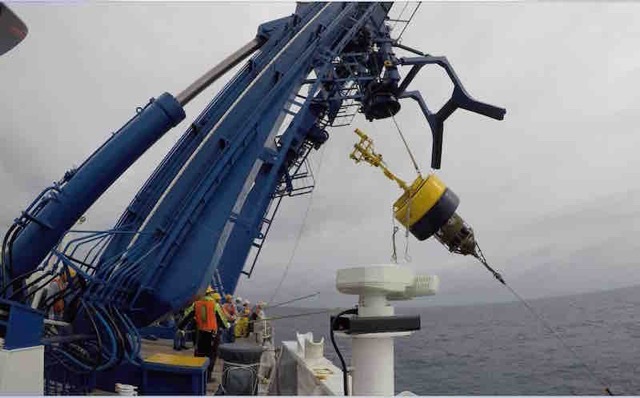 After recovery of the m-TRITON, 2 casts of Underway-CTD were conducted on the cruise track toward the location of the next m-TRITON at 5S, 95E. 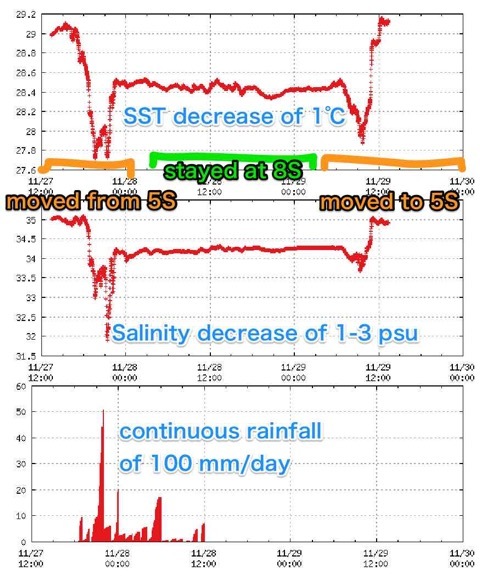 During the track between 8S and 5S, we observed remarkable decreases of SST and sea surface salinity across the rainband that might stay during this week. The planed operation was successful and today’s observation should be fruitful.